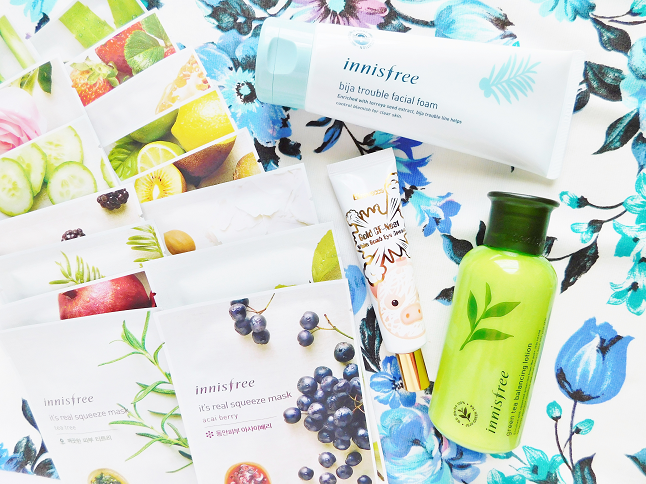 I use up skincare products like wildfire! It feels like every week I am buying a new Kbeauty product. Last week I bought a couple new items that I wanted to share with you today. 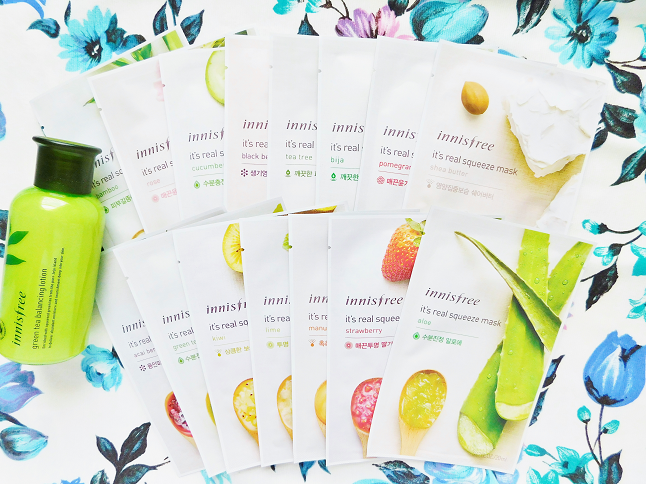 It's mainly on Innisfree products but I also threw in another non-Innisfree product. There isn't too much to show so let's get started! I recently finished my Cosrx Low Ph Good Morning Gel Cleanser so I was in need of a new cleanser. Now I would usually buy the same cleanser again because my skin is really picky but I decided against it and bought the Innisfree Biji Trouble Facial Foam. I've been using the cleansing gel from the same collection and it's been working great with my skin so thought maybe the cleanser would work with my skin type as well. I was running low on emulsion so I looked for one online and this one popped up. 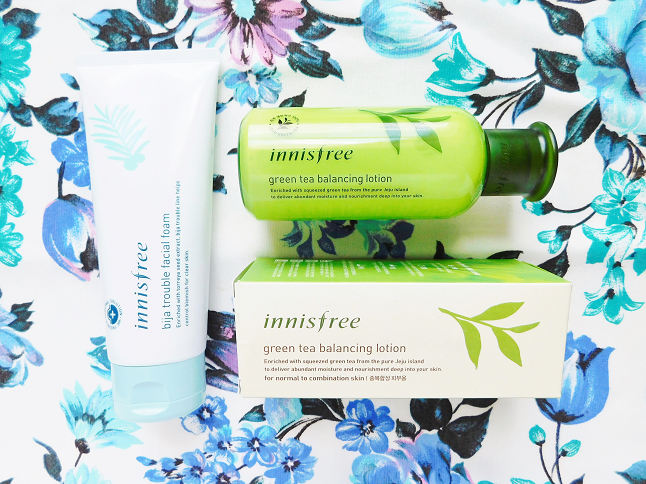 I've heard a lot of positive feedback on the Innisfree Green Tea collection(s) so I decide to buy this emulsion. I'm not crazy about the smell (It smells like men's cologne) but it quickly goes away as it absorbs into the skin. I've only been using this for a couple days but so far so good. 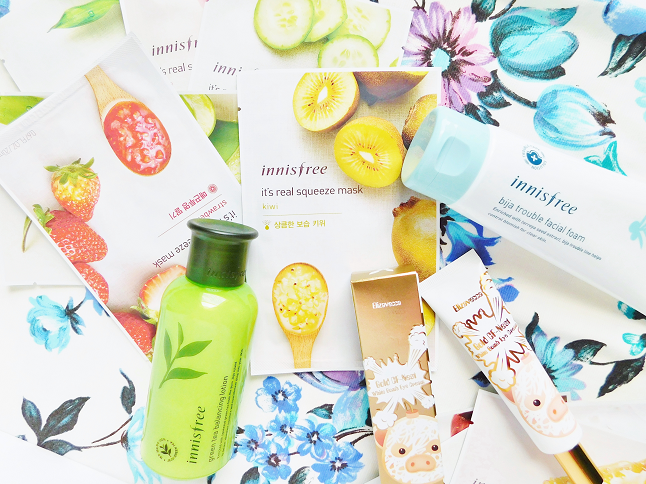 I know this isn't an Innisfree product but I thought I would sneak it into this haul. This is my second time purchasing the Elizavecca Gold CF-Nest White Bomb Eye Cream. 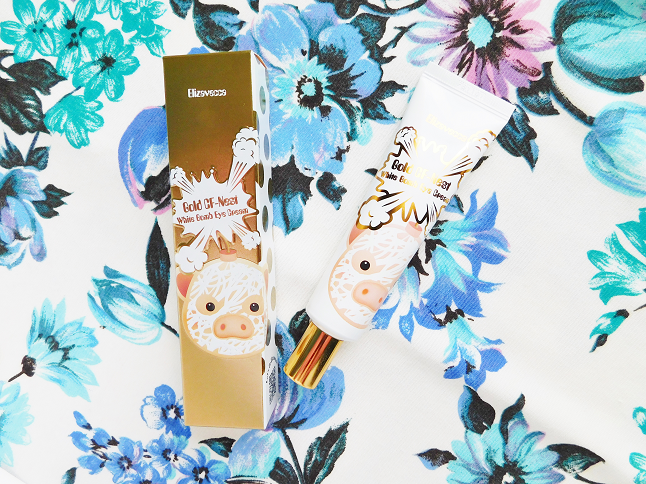 It's a wonderful product that hydrates the eye area. If you are new to eye creams I would recommend this one. A review will be up sometime in April.